Ms. Trejo was the first Latina appointed to level of General Manager for the City of Los Angeles. She is responsible for the overall administration of the Los Angeles Department of Aging serving one of the largest and most diverse concentrations of older persons in the U.S. She serves as technical and policy advisor to the Mayor and City Council; and represents the City of Los Angeles before the public, community and private groups on matters affecting senior citizen affairs. In her previous post, Ms. Trejo served as the first District Chief for countywide older adult mental health for Los Angeles County. She is currently the City’s lead for Purposeful Aging L.A. an age-friendly initiative “to make the Los Angeles region the most age friendly in the world.” Among her other activities, Ms. Trejo serves as a founding Co-Director/Investigator of the UCLA Los Angeles Community Academic Partnership for Research in Aging (LA CAPRA), Interim Director of the Los Angeles Foundation on Aging, and Executive Producer of Aging Well in L.A. an Emmy nominated magazine style public television program. Nationally, Ms. Trejo is active in the American Society on Aging currently serving on the Aging Today Editorial Advisory Committee and National Association of Area Agencies on Aging’s Mission Forward Committee. Ms. Trejo has been invited to speak at more than 300 professional and scientific meetings and has authored or co-authored numerous articles, book chapters and reports. Ms. Trejo was named by Los Angeles Magazine among the “50 Most Influential Women” and the United States Library of Congress has recognized Ms. Trejo’s accomplishments as a force for social change. Ms. Trejo is a gerontologist with a Master of Science in Gerontology, Master of Public Administration and Graduate Certificate in Long Term Care Administration all from the University of Southern California. 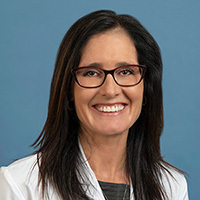 Catherine Sarkisian MD, MSHS is a Professor at the David Geffen School of Medicine at UCLA Division of Geriatrics and Staff Physician at the Greater Los Angeles VA Healthcare System. She is Director of the Los Angeles Community Academic Partnership for Research in Aging (L.A. CAPRA), an NIH-funded partnership between UCLA and The City and County of Los Angeles Area Agencies on Aging to support research on sustainable programs to improve quality of life of under-resourced seniors. Recently her research has focused on reducing low value care; she is Principal Investigator on an American Board of Internal Medicine Foundation-funded project to implement a Choosing Wisely™ intervention at L.A. County Department of Health Services. She is Director of the NIH/NIA-funded Resource Center for Minority Aging Research/Center for Healthcare Improvement of Minority Elders (RCMAR/CHIME) Community Liaison Core and Co-Leader of the UCLA CTSI Special Populations Program. She received her A.B. degree (with Honors) in Philosophy from Princeton University, her M.D. from University of California San Francisco, and an MSHS in Health Services from the UCLA School of Public Health. 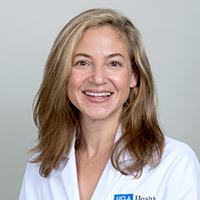 Dr. Deena Goldwater is an attending cardiologist and a Clinical Instructor at the David Geffen School of Medicine at UCLA. She has a joint appointment in the departments of Cardiology and Geriatrics and has established a geriatric cardiology outpatient clinic at UCLA. Her research is focused on patient-prioritized goal-directed care in cardiovascular disease as well as the relationship between emotional and physical stress, inflammation, and atherosclerosis. Ajit Divakaruni is an Assistant Professor of Molecular and Medical Pharmacology at the UCLA David Geffen School of Medicine. He earned a bachelor's degree from the University of Arizona and a Ph.D. in biochemistry from the University of Cambridge, where he was a Marshall Scholar and NSF Graduate Research Fellow. He then was a post-doctoral fellow at the University of California, San Diego prior to joining the UCLA faculty. His laboratory studies how cellular nutrient preference can affect physiology. His ultimate goal is to develop therapies that target metabolic pathways to treat human disease. Dr. Bernard, Deputy Director of the National Institute on Aging (NIA) at the National Institutes of Health, serves as NIA’s senior geriatrician and principal advisor to the NIA director, overseeing over $1.5 billion in aging research conducted and supported annually by the Institute. For the Department of Health and Human Services she co-chairs two Healthy People 2020 objectives: 1) Older Adults and 2) Dementias, Including Alzheimer’s Disease. Within NIH she serves on the Extramural Activities Working Group where she co-chairs the Inclusion Governance Committee; the Diversity Working Group; and the Women in Biomedical Careers Working Group where she co-chairs the Women of Color Committee. Until October 2008 she was the endowed professor and founding chairman of the Donald W. Reynolds Department of Geriatric Medicine at the University of Oklahoma College of Medicine, and Associate Chief of Staff for Geriatrics and Extended Care at the Oklahoma City Veterans Affairs Medical Center. Her research focused on nutrition and function in older populations. She has held numerous national leadership roles, including chair of the Clinical Medicine (now Health Sciences) Section of the Gerontological Society of America; president of the Association of Directors of Geriatric Academic Programs; chair of the Department of Veterans Affairs National Research Advisory Committee; board member of the American Geriatrics Society; and president of the Association for Gerontology in Higher Education. She received her undergraduate education at Bryn Mawr College and her MD from University of Pennsylvania School of Medicine. She trained in internal medicine at Temple University Hospital in Philadelphia, PA, where she also served as chief resident. She has received additional training through the Association of American Medical Colleges Health Services Research Institute, the Geriatric Education Center of Pennsylvania, and the Wharton School Executive Development program. Dr. Carroll is an Assistant Professor of Psychiatry and Biobehavioral Science at UCLA, a member of the Cousins Center for Psychoneuroimmunology and the Jonsson Comprehensive Cancer Center, and leads the UCLA Aging Biology and Behavior Laboratory. Dr. Carroll received her PhD in Biological and Health Psychology at the University of Pittsburgh, and completed a NRSA postdoctoral training program in Psychoneuroimmunology at UCLA before accepting her current faculty appointment. Her research is focused on the biological processes that link behaviors with aging and disease risk. This work asks how behaviors may operate and interact with biological systems, particularly at the cellular level to affect the aging process and disease vulnerability in various populations. In her recent work she has demonstrated that inadequate sleep may disrupt numerous regulatory systems and promote biological aging, and is now beginning to examine how interventions to address modifiable behaviors might slow the aging process. Dr. Carroll currently receives research support from the American Cancer Society, the National Institute on Aging, the National Institute of Child Health and Human Development, and the National Cancer Institute. Alan Castel is a Professor in the Department of Psychology at the University of California, Los Angeles. His research focus on how cognition changes with age and the degree to which people are aware of their memory ability (a form of metamemory). He is particularly interested in how younger and older adults can selectively remember important information, and how ability is influenced by attentional and metacognitive processes. He conducts research with people across the lifespan, and gains insight about development and cognitive aging from experimental methods, structured and informal interviews, and personal interaction. He has published over 70 research papers and book chapters, was recognized as a "Rising Star" by the Association for Psychological Science, received the Springer Early Career Achievement Award in Research on Adult Development and Aging from the American Psychological Association, and serves on several editorial boards. His work has been featured in various media outlets, including the New York Times, AARP, and Time Magazine. He received his PhD from the University of Toronto in 2004, completed a post-doctoral fellowship at Washington University in St. Louis, and has been a faculty member in the Department of Psychology at UCLA since 2006. Currently, he is working on a book about "Successful Aging". He lives, and attempts to successfully age, in Los Angeles, California, with his wife and children. Dr. Fox trained as a Biological Anthropologist at Yale (BA) and Cambridge (PhD), and completed a postdoctoral fellowship in Psychiatry at UC Irvine School of Medicine. She is currently an Assistant Professor at UCLA, with joint appointments in Biological Anthropology and Psychiatry & Biobehavioral Sciences, and maintains a volunteer appointment as Assistant Professor of Pediatrics at UC Irvine. She is a faculty affiliate of the California Center for Population Research and the Cousins Center for Psychoneuroimmunology at UCLA, and collaborates with the UCI Conte Center on Brain Programming. She is interested in the recursive relationship between human family dynamics and health dynamics, and evolutionary medicine approaches to studying chronic disease etiology and epidemiology. Her expertise is in the fetal/developmental origins of health and disease, longevity and Alzheimer’s disease, and how socio-cultural conditions during pregnancy and lactation affect health across generations. Dr. Brian Kennedy is internationally recognized for his research in the basic biology of aging and is a visionary committed to translating research discoveries into new ways of delaying, detecting, preventing and treating age-related conditions. He leads a team of 23 principal investigators at the Buck Institute – all of whom are involved in interdisciplinary research aimed at extending healthspan, the healthy years of life. The inventor on several patents, Dr. Kennedy is co-founder of two U.S. companies aimed at developing treatments for age-related chronic disease. He is actively involved in aging research in the Pacific Rim, which features the largest elderly population in the world. He is a visiting professor at the Aging Research Institute at Guangdong Medical College in China. In the past year he lectured in Korea, Russia, China, Chile, Austria, Italy and the United Kingdom. In conjunction with the University of Southern California, he also launched the nation’s first PhD Program in the Biology of Aging. Dr. Kennedy has published more than 140 manuscripts in prestigious journals including Science and Nature and has been quoted in The Wall Street Journal, The New York Times and The Boston Globe, among others. He is co-Editor-in Chief of Aging Cell and serves as a consultant for biotech and pharmaceutical companies. His own research has led to the discovery of Sirtuins and the mTOR pathway as key regulators of aging, with current studies involving an intensive focus that is unusual in the field – his work seeks to move discoveries from simple organisms into mammalian animal models as quickly as possible in order to develop new approaches to alleviate age-associated diseases in humans. Dr. Kennedy will be discussing The Age of Aging - Can We Intervene? Dr. Sarrafzadeh received his Ph.D. in 1987 from the University of Illinois at Urbana-Champaign in Electrical and Computer Engineering. He joined Northwestern University as an Assistant Professor in 1987. In 2000, he joined the Computer Science Department at University of California at Los Angeles (UCLA). He is a co-founder and co-director of the center for SMART Health and a co-director of BRITE center on Minority Health Disparities. His recent research interests lie in the area of Embedded Computing with emphasis on healthcare. Dr. Sarrafzadeh is a Fellow of IEEE. Professor Sarrafzadeh has published more than 500 papers, co-authored 5 books, and is a named inventor on many US patents. Dr. Sarrafzadeh has collaborated with many industries in the past 25 years. He co-founded two companies around 2000 - they were both acquired around 2004. He has recently co-founded three companies in the area of Technology in Healthcare. Dr. Sarrafzadeh will be discussing Independent Living with a Technology Companion. Dr. Merrill attended UC Berkeley for his undergraduate studies in neuroscience and psychology. He completed his MD and a PhD in Neuroscience at UCSD, with a focus on learning and memory in aging. He has been at UCLA for the past 12 years, first completing adult psychiatry residency and geriatric psychiatry fellowship training before joining the full time Psychiatry faculty in July of 2010. He works both as a clinical psychiatrist and researcher. At the Research Conference on Aging, he will be discussing the use of leading edge technologies at the Cognitive Health Clinic at UCLA. The clinic is part of the Alzheimer’s Risk Reduction Research Initiative at the UCLA Longevity Center within the Jane and Terry Semel Institute for Neuroscience and Human Behavior at UCLA. Dr. Merrill will be discussing Technology in a Cognitive Health Clinic for Memory Loss and Depression. Dr. Beltrán-Sánchez’s research focuses on the demography of health and aging. He has written on health patterns and trends in low- and middle-income countries; on aging in high-income countries including issues about compression of morbidity; on the links between early life experiences and late life outcomes; as well as on biomarker data from Mexico to study physiological patterns of health and their link with sociodemographic factors.